We are Ohio’s most experienced turn-key court builder - Serving Akron, Canton, Cincinnati, Cleveland, Columbus, Dayton, Findlay, Mansfield, Lancaster, and Zanesville. At Sport Court Ohio, we shaped a mission 20+ years ago that rings true today: To create exceptional sports spaces dedicated to Family, Fitness, and Fun. We are privileged to serve locally as the Buckeye State’s single, full-service court and gym builder. Unlike many fly-by-night, internet-based equipment and surfacing suppliers, we are NOT component peddlers. Rather, we take the time to understand your vision, provide professional consultation, and carry out your project with our skilled construction and installation team. Hoffman Dental is fully committed to putting their experience and skill to work for you.They will provide you with an office experience that will provide you and yourfamily with the best overall comprehensive dental care in the Columbus area. North Court family dentistry is a comprehensive general dental practice located in Circleville, OH. They utilize the latest technology while providing optimum service to their patients. Backyard court builders also keep tabs on the latest in athletics technology to provide you with the most updated options possible for your Columbus, OH court. With your input, they’ll design a space that’s customized for your wish list and your home, then handle the construction. When the inevitable wear and tear starts to show, your Ohio backyard court builder can repair, resurface or replace the aging elements. To ensure consistent quality and style, your backyard court contractor might also work closely with a Columbus, OH general contractor, remodeling contractor or landscape professional. Here are some related professionals and vendors to complement the work of backyard courts: Outdoor Play Systems, Landscape Contractors, General Contractors. 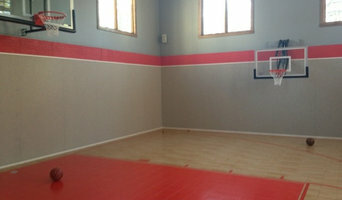 Narrow your search in the Professionals section of the website to Columbus, OH backyard courts. You can also look through photos to find examples of Columbus, OH courts that you like, then contact the contractor who worked on them.